Use the Archlifter ™ only minutes per day to undo the effects of gravity and screen hunch. Is it Bad Posture or Degeneration? Posture Angle 0 degrees. 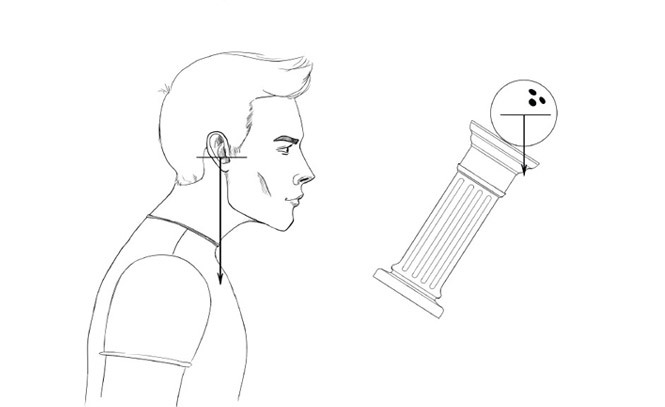 The ear opening should line up directly over the shoulder. Posture Angle 5 to 20 degrees. 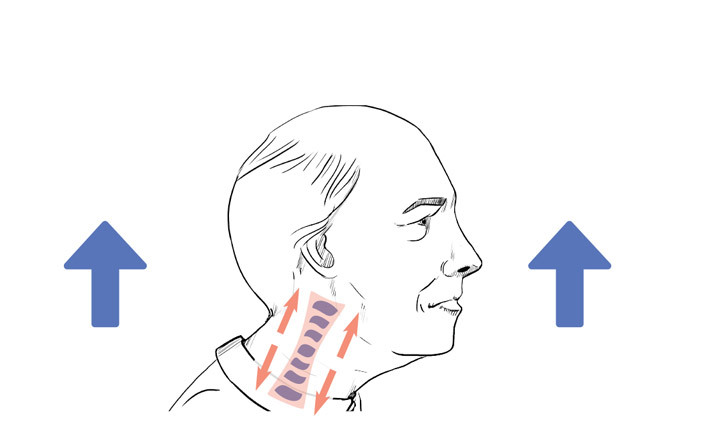 The normal curvature of the neck gets straighter causing the discs to thin out in the anterior region. With proper treatment this phase may be fully reversible. 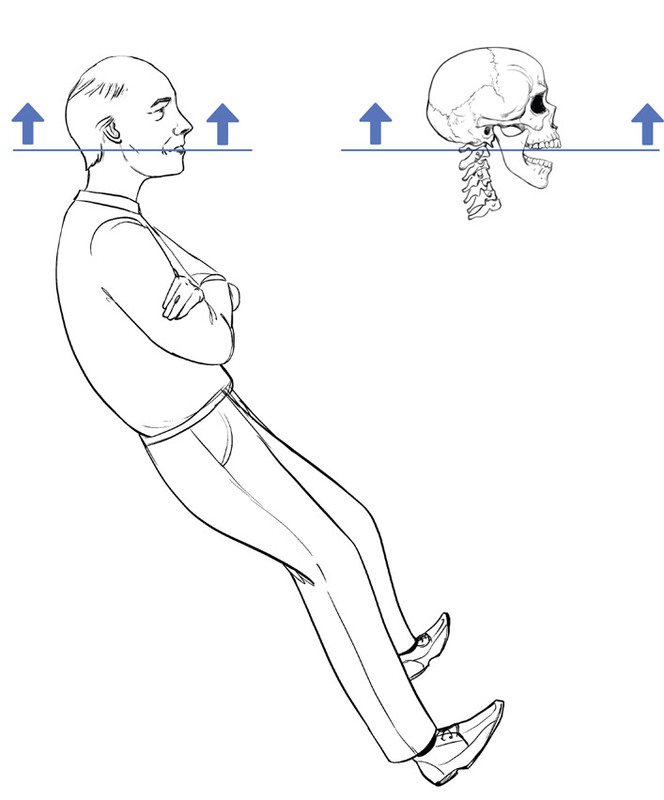 Posture Angle 20 to 28 degrees. The normal curvature of the neck is completely gone. The discs start to degenerate from the top and the bottom of the neck like an accordion and the wedging effect can change the shape of the disc. The degeneration is most generally apparent in the C5 to C6 region. Partially Reversible. Posture Angle 28+ Degrees. This is a severely weakened neck. The discs continue to dry out and degenerate. There can be arthritic changes in the joints and calcium deposits can be seen in x-ray studies. The spaces between the vertebrae are shortened as the discs continue to dry out and flatten. These patients can experience a reduction in range-of-motion in the neck. Spinal decompression treatment with the Archlifter™ can benefit patients with degenerative spine conditions that cause the spine to compress. Decompression treatment has very few risks or potential side effects, allowing it to be commonly used as a nonsurgical method of treatment for back and neck pain. Your physician can help you determine whether or not this would be a beneficial treatment for you depending on the type of condition you have and its severity. What is your posture angle? Take a photo as shown, print it out. 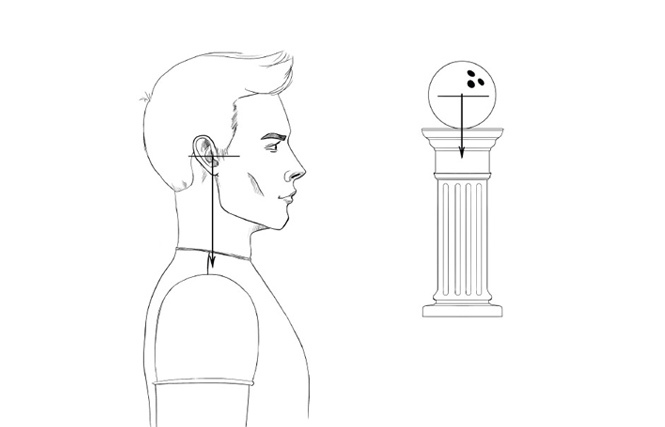 Use a protractor to calculate your posture angle. 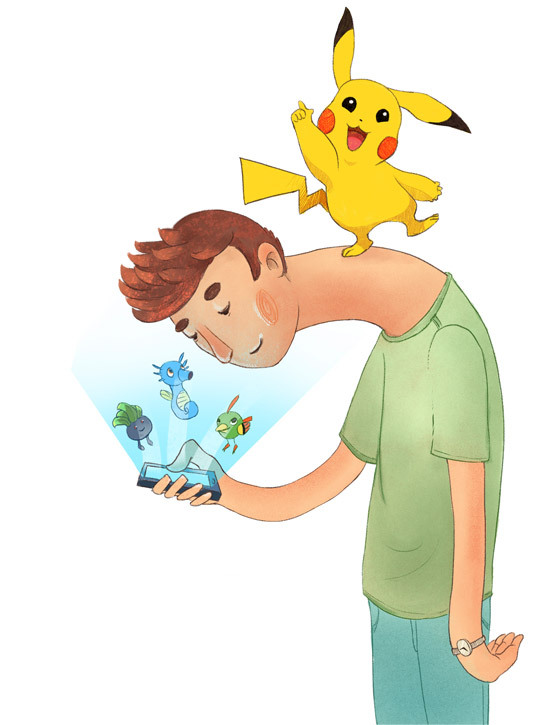 This will give you a rough idea of your present neck health. 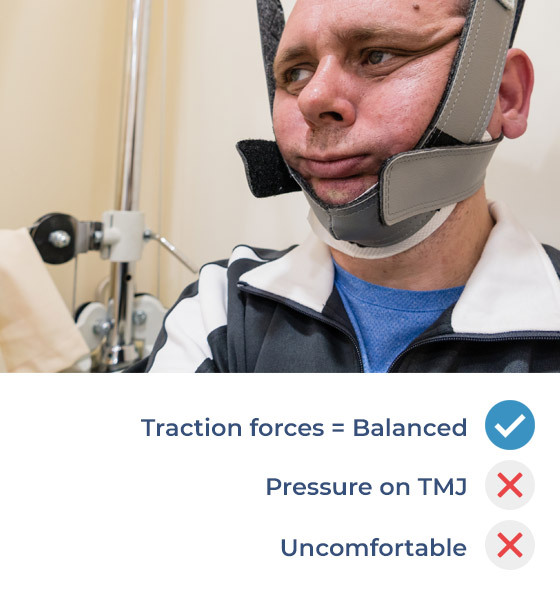 Other Traction Devices – cont. Why is decompression with the Archlifter™ so helpful? Decompression creates a vacuum inside the disc space and allows the influx of water and nutrients into the disc. The spinal disc system functions most optimally when the discs move frequently, like a self-winding watch. 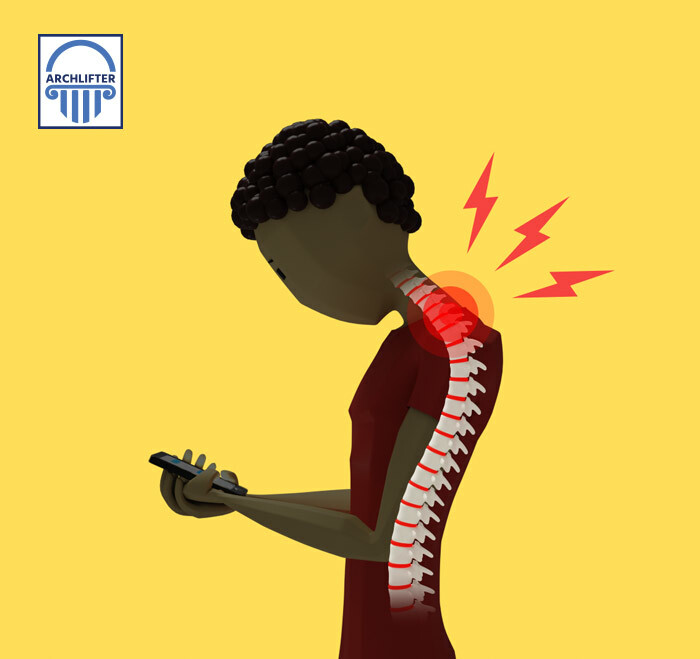 During extended periods of inactivity accompanied by screen hunch, the discs cannot maintain their normal physiological status. Over years this results in degenerative changes in the structures of the spine. Decompression with the Archlifter™ allows sustained mechanical reversal of the effects of gravity and screen hunch. 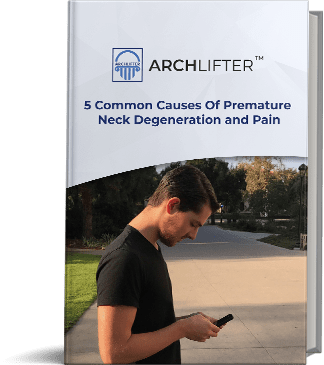 With extended use, the Archlifter™ will change the soft tissues of the neck and back to restore normal spinal curvature and function. The restoration will be dependent on the level of degeneration present, however in cases with moderate to advanced degeneration, restoration to normal anatomy is not possible, but improvement in function and a decrease in the level of pain are normal outcomes of extended Archlifter™ use. 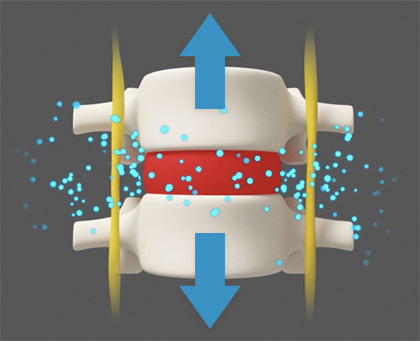 Decompression produces a slight vacuum inside the disc allowing influx of water and nutrients. from spinal dysfunction both chronic & acute. Balanced traction can benefit this situation. 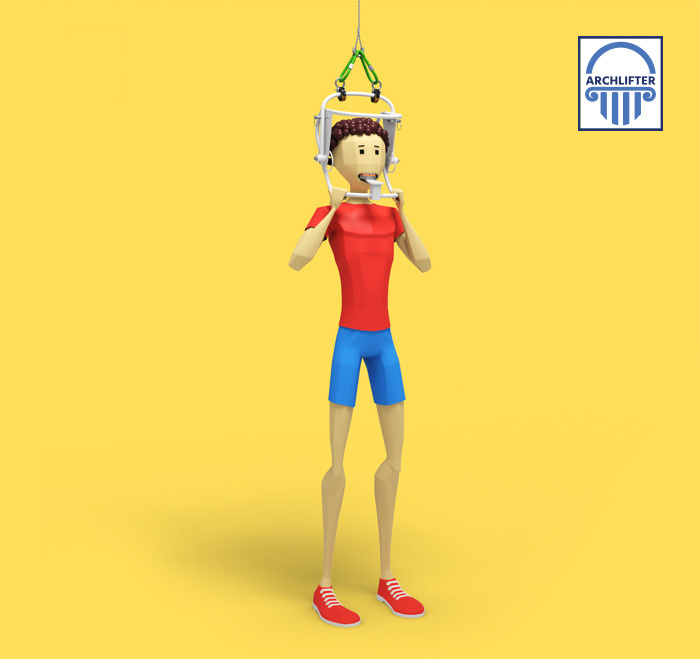 Archlifter™ holds the head steady while the user applies optimal traction. natural neck curvature and relieve pain and tension. You control the amount of traction force using your legs and bending at the knees. Archlifter™: has hand-holds to help you steady yourself and for fine control of the traction forces. I felt lengthening in the back of my neck with the Archlifter. I haven't been able to find anything else like it that gives me that sense of relief. I don't want to take medications and want to remain active. The Archlifter is my new "drug" that helps allow me to keep moving! I've been suffering from neck pain and back pain for the last 10 years I've been diagnosed with cervicalgia and stenosis in my neck and back. I've used all types of different traction devices to try and relieve the pain as well as inversion tables. 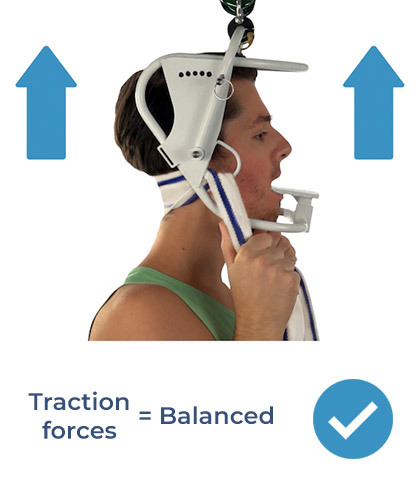 I've been using the Archlifter for the last four weeks and it's the first system that it's allowed me to really pinpoint the areas of my neck where I could use traction. It's provided me a lot of relief. I was getting pains down my arms as well as numbness in my hands and a lot of those symptoms have been pretty much resolved over the last month. I highly recommend the Archlifter. You can use your own body weight to provide relief without leaving your house! 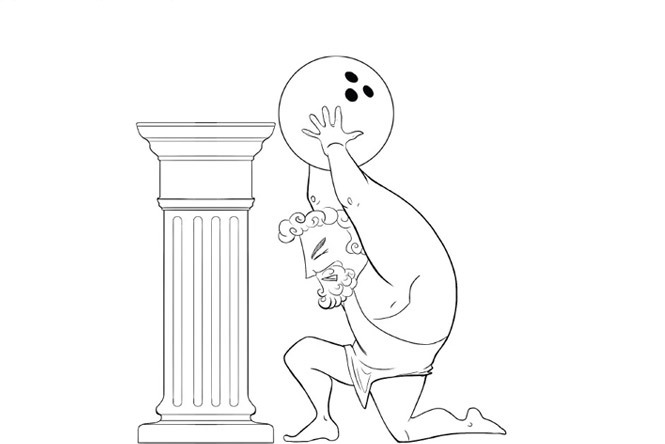 occur with prolonged poor posture and the relentless effects of gravity. You can see here that the normal and healthy neck curvature is present. 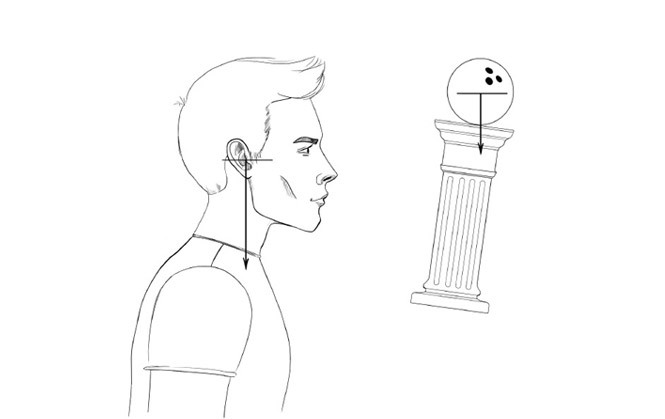 This curvature is required for the “spring action” of the neck: the head weight is carried primarily by the facet joints. (Yellow Line) The spinal discs are evenly spaced and the vertebral bones are healthy and normal. (Green Line) The Atlas (C1) is in a normal position. 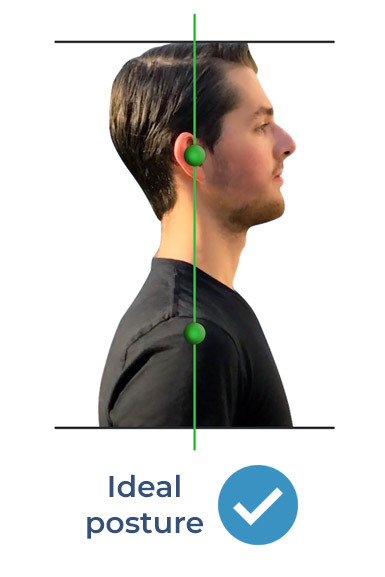 Posture angle: 0 to 5 degrees. 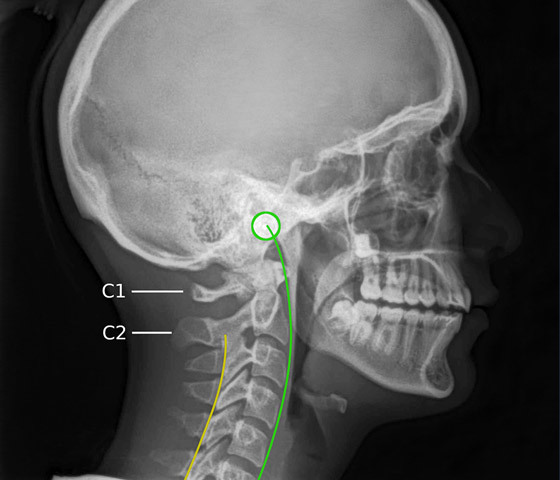 The normal and healthy curvature is absent in this teenager (note undeveloped wisdom teeth, red arrow) with phase 1 of cervical degeneration. 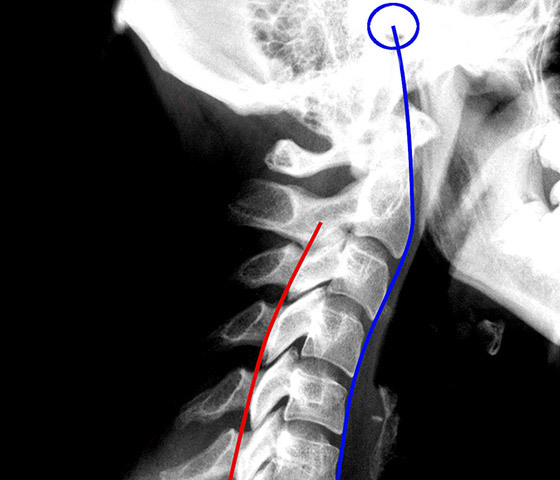 The weight of the head is shifting from primarily borne by the facet joints (red line) to being borne by the discs (between blue and green lines) at this phase, but few structural changes have occurred. 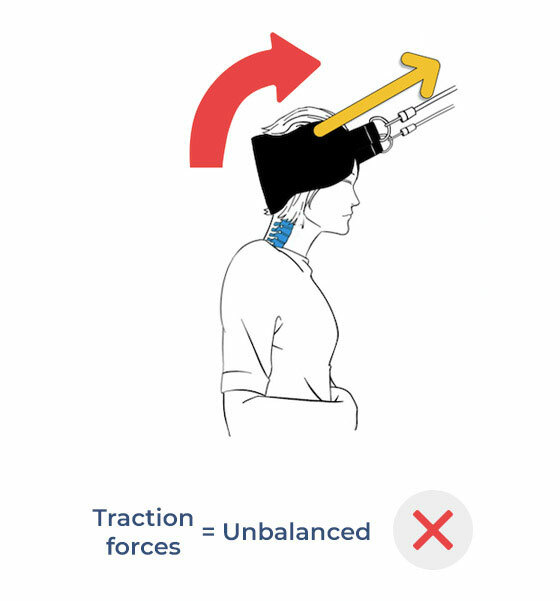 The tipping point of C1 has been reached and it has already started to tilt backwards, and the neck can’t function as a spring. The neck shows signs of premature aging. Phase 1 is mostly or fully reversible with timely intervention. 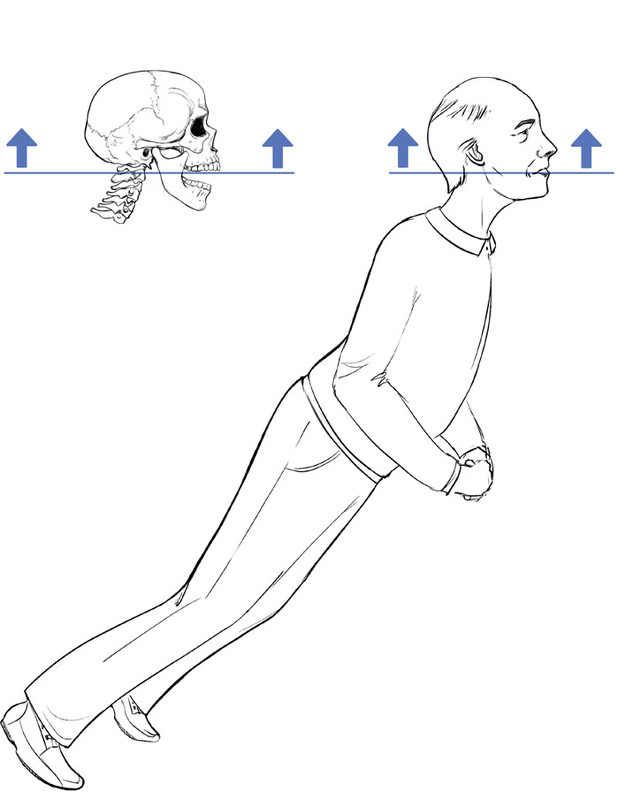 Posture angle: 5 to 20 degrees. 38 year old with reverse curvature in Phase 2 of degeneration. You can clearly see the reverse curvature here. The Atlas (C1) has tipped backwards and the bulk of the weight is carried by the discs. This is clearly phase 2 of cervical degeneration and structural changes are starting to take place. The discs are beginning to show signs of wedging. 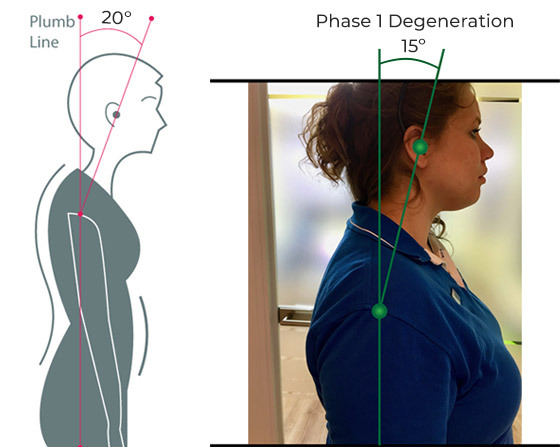 Posture angle: 20 to 28 degrees. Moderately advanced cervical degeneration in middle age. 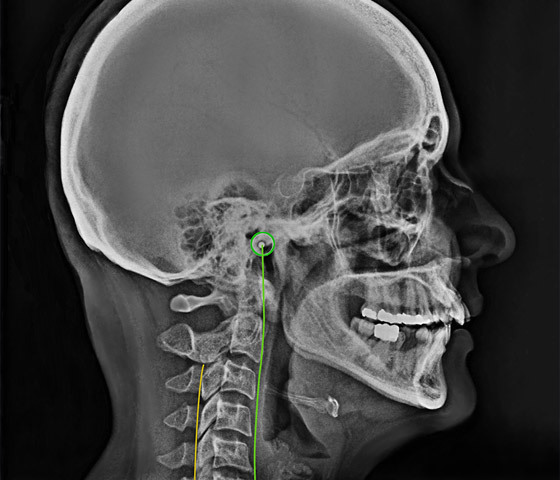 This patient shows signs of irreversible structural changes in the neck. The Atlas (C1) has slipped further backwards as the cascade of events is underway leading to advanced structural changes. 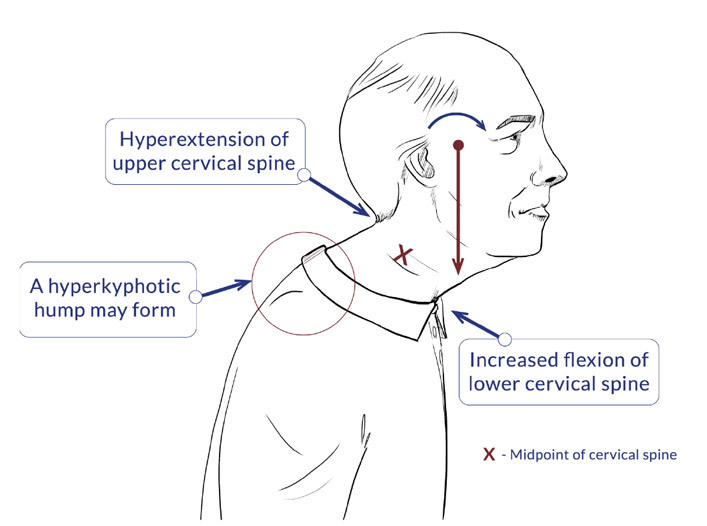 Phase 3 of cervical degeneration shows an actual reversal of the curve, more pronounced disc wedging and neck instability. Posture angle: 28+ degrees. Children start with technology at a very young age. Make sure they understand how to avoid screen hunch and the problems that follow. 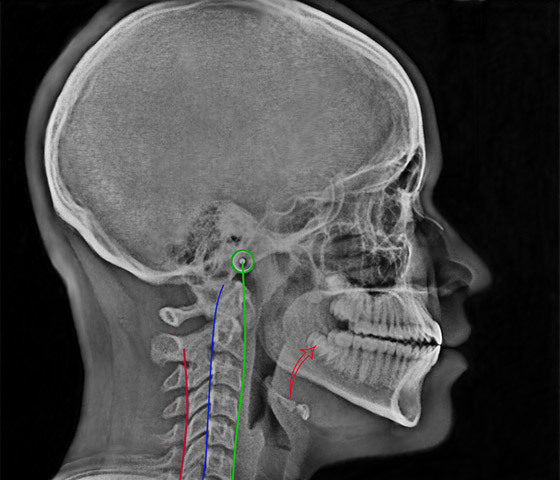 Spine Misalignment, UARS and Sleep Apnea in Children and Adults. Rene Cailliet M.D., medical author and former director of the department of physical medicine and rehabilitation at the University of Southern California stated: “Head in forward posture can add up to thirty pounds of abnormal leverage on the cervical spine. This can pull the entire spine out of alignment. 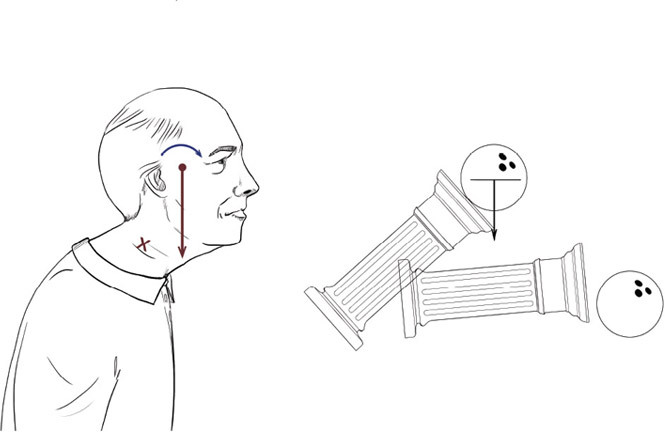 Forward head posture (FHP) may result in the loss of 30% of vital lung capacity. These breath-related effects are primarily due to the loss of the cervical lordosis, which blocks the action of the hyoid muscles, especially the inferior hyoid responsible for helping lift the first rib during inhalation.” Forward head posture (or tech-neck) can increase the upper airway resistance in children as well as adults. This can contribute to Upper Airway Resistance Syndrome (UARS). This syndrome is characterized by a general lack of sleep, poor posture and dental malformations. If you or your child exhibit these symptoms, please seek help from a specialized sleep center for complete diagnosis.